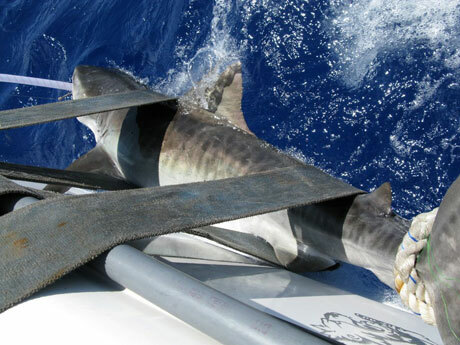 The Bermuda Shark Project was originally founded in 2005 by Dr. Neil Burnie, Jeffrey Manson, Tim Hasselbring and Choy Aming, to conduct research focusing on the satellite tagging of tiger sharks around the Bermuda Platform. 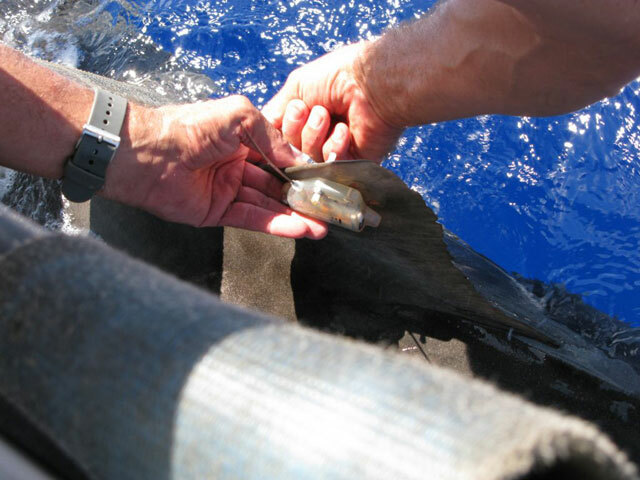 This research will enable us to better understand these important yet often maligned fish. 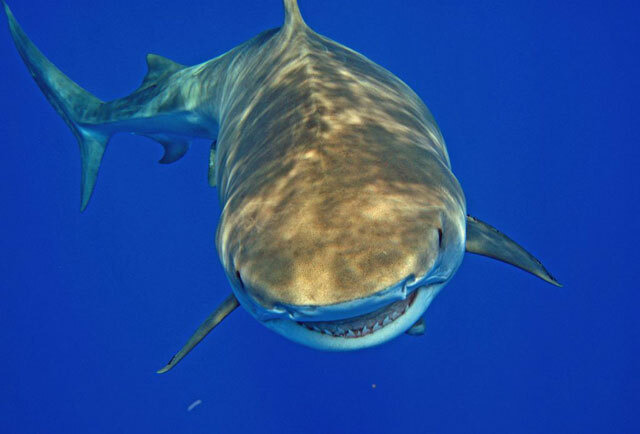 The main target species is the tiger shark, one of the most common and predictable sharks around Bermuda. 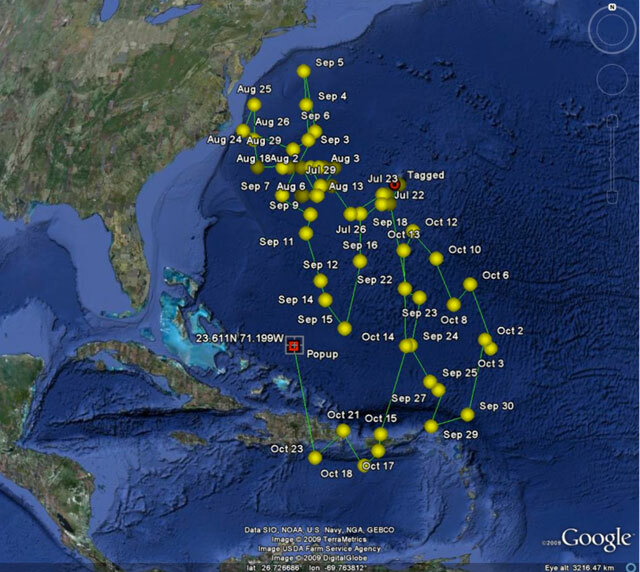 We have had tremendous success producing satellite tracks and have produced some of the longest shark tracks ever in terms of both distance and time. 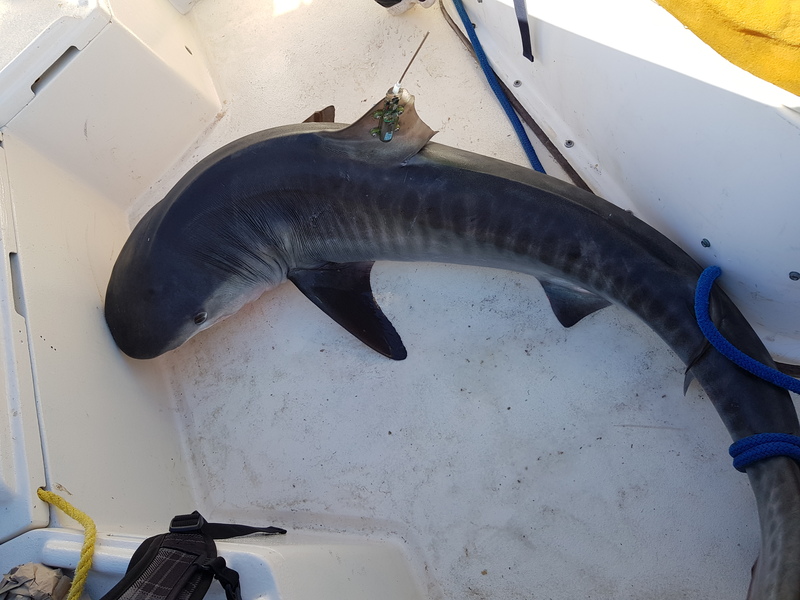 We have multiple tiger shark tracks of 3 years and 30,000 miles and to date we have tagged over 40 tiger sharks, with the vast majority being adult males. 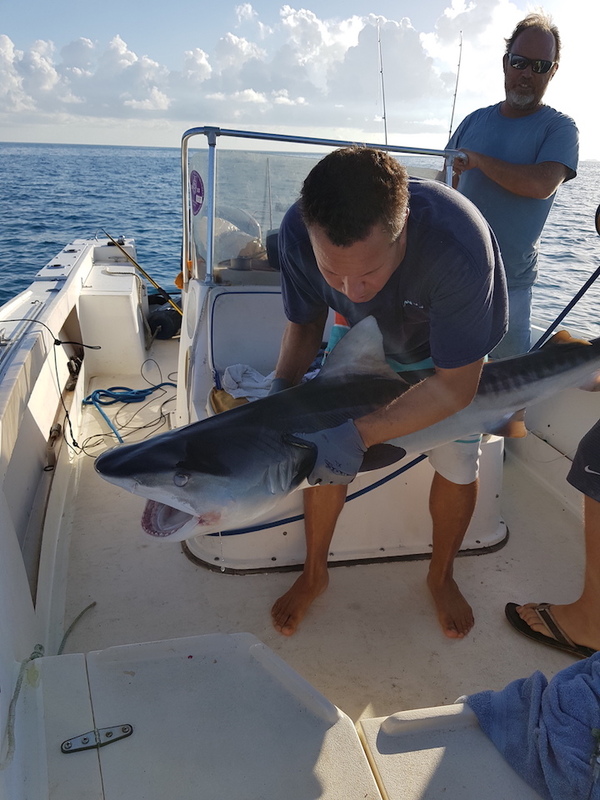 In fact our data led to the discovery of an annual tiger shark migration, mainly by adult males, from the Caribbean to Bermuda. 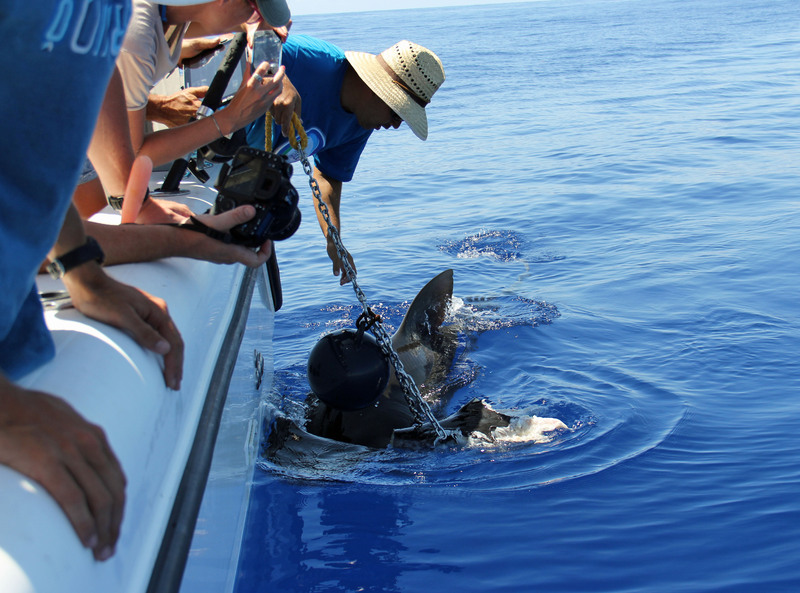 We have also started work on tagging Galapagos sharks around Bermuda. 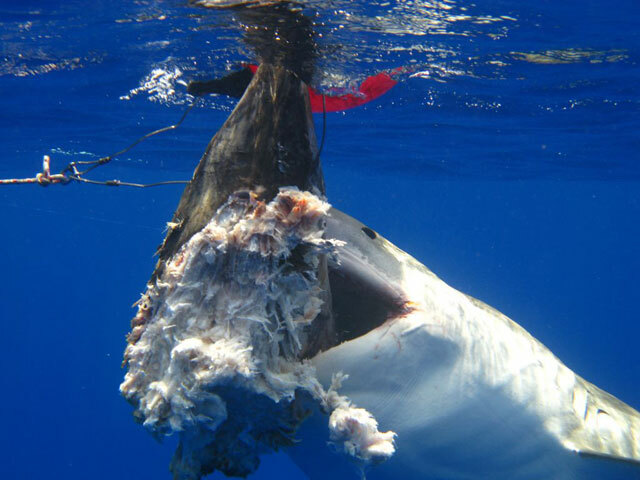 This is a common species but less predictable than a tiger shark and less likely to surface, which makes gathering data on them more difficult. 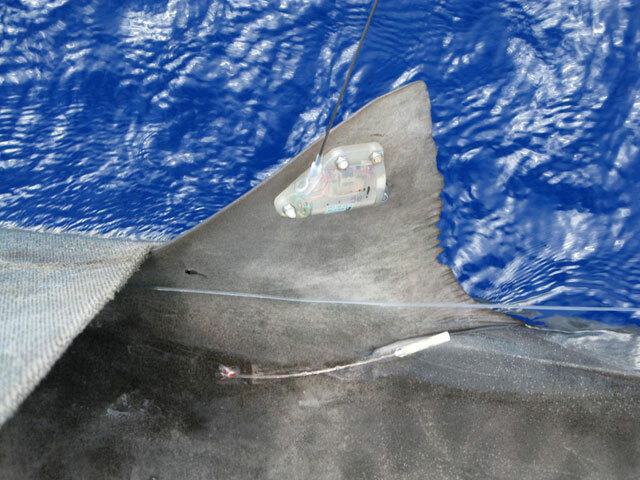 We have tagged 5 so far and their patterns tend to be more localized than those of the tiger shark. Further work is definitely warranted due to the lack of data we have locally and the fact that they are a commercial fishery. 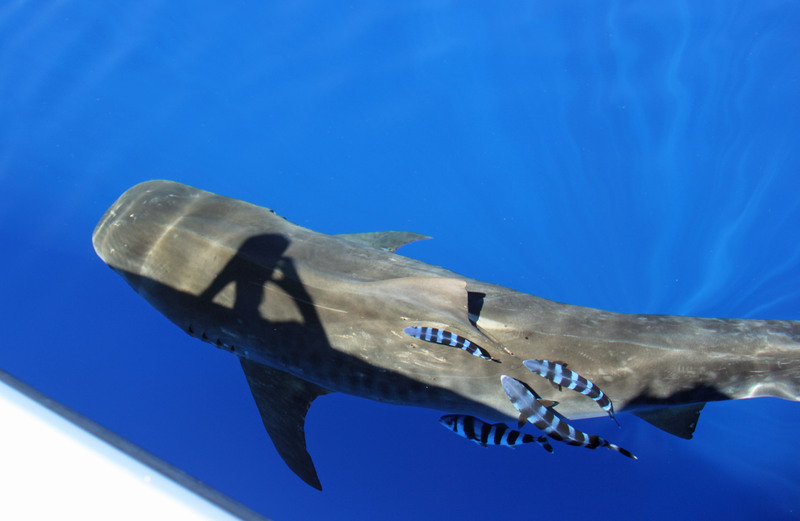 The latest exciting addition to the project is the tagging of juvenile tiger sharks. 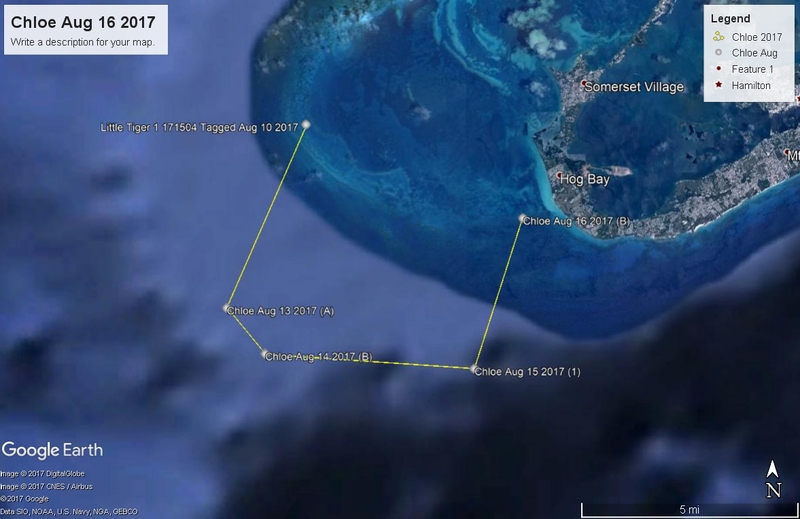 Often elusive and in small numbers on the Bermuda platform, we have very little information on juvenile tiger shark movement here. In summer 2017 we managed to get 2 satellite tags onto juveniles and are curiously following their movements. 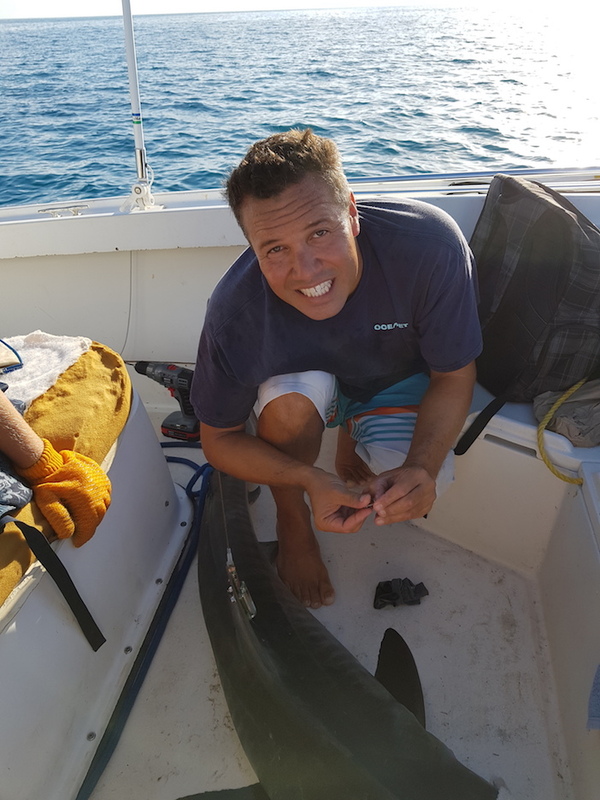 Unlike the adults who stay offshore, the juveniles seem to move through the reefline more which means they play a more integral role in the Bermuda ecosystem then previously thought. The person heading the project locally is BAMZ Senior Aquarist Choy Aming. 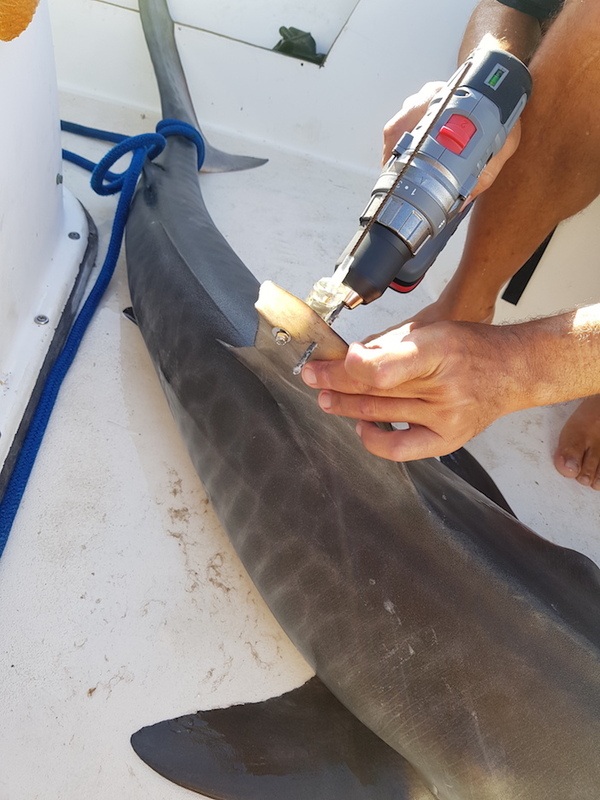 The project has also been working with Dr. Brad Wetherbee at the University of Rhode Island and Dr. Mahmood Shivji at Nova Southeastern University to help us publish several scientific papers of Bermuda shark movement for several years. 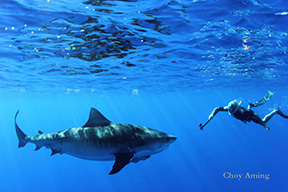 They are both affiliated with the Guy Harvey Research Institute and most of our shark tracks can be found on their website http://cnso.nova.edu/ghri. 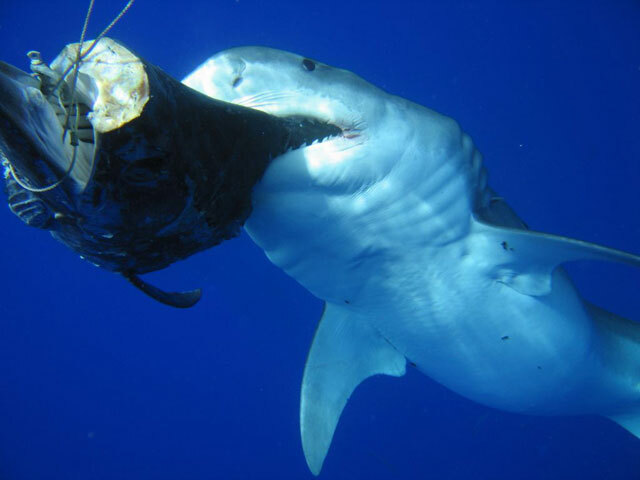 Our research has also been featured on several TV shows including Ocean Vet and Save Our Seas and Shark Week on Discovery.